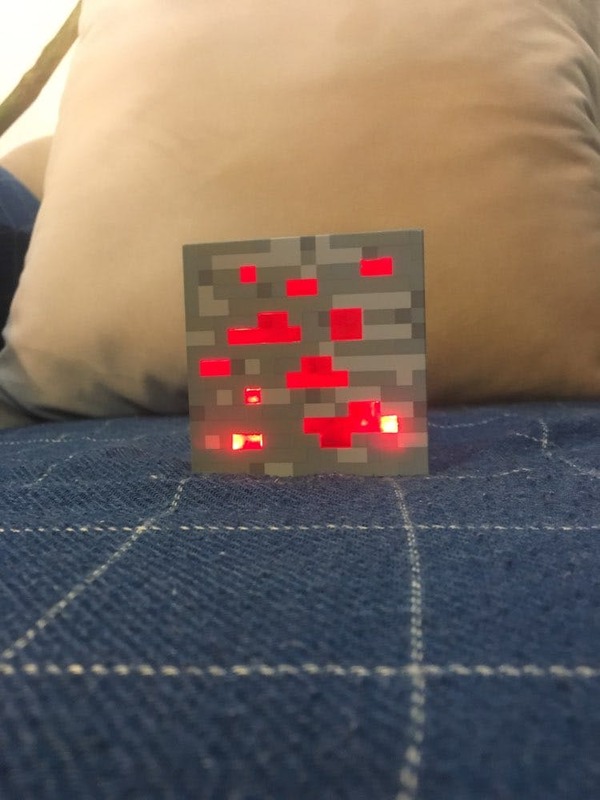 If you or your children dream of living in your own Minecraft creations, then try the warm glow of the Minecraft Redstone Ore Nightlight an excellent addition to any gamer's collection. 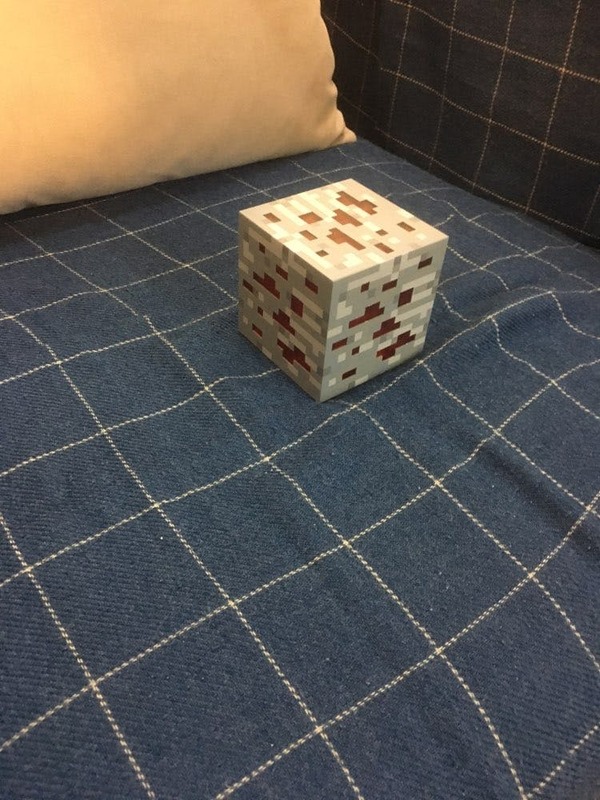 You do not have to use the pickaxe to mine it and it guarantees to keep the boogie oogie Pigmen from coming out of the closet while the little ones are asleep. 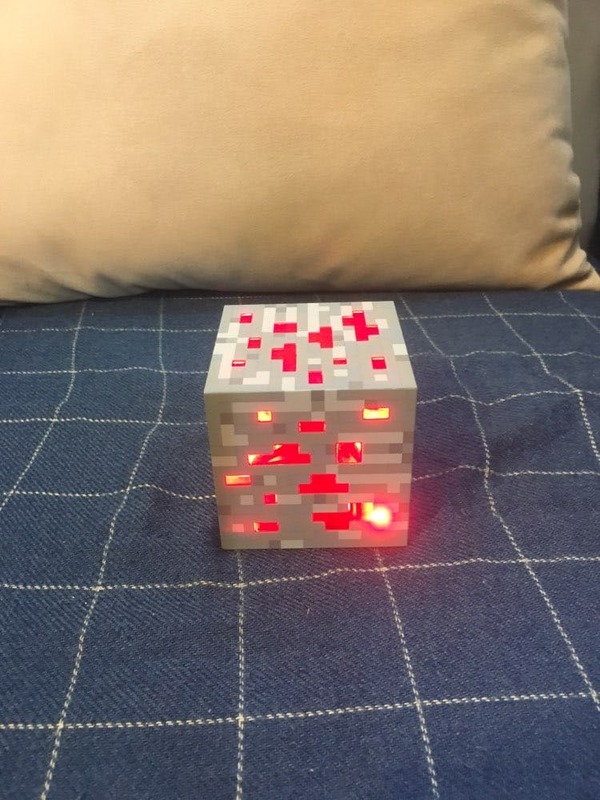 Simply put this children's nightlight on any nightstand. 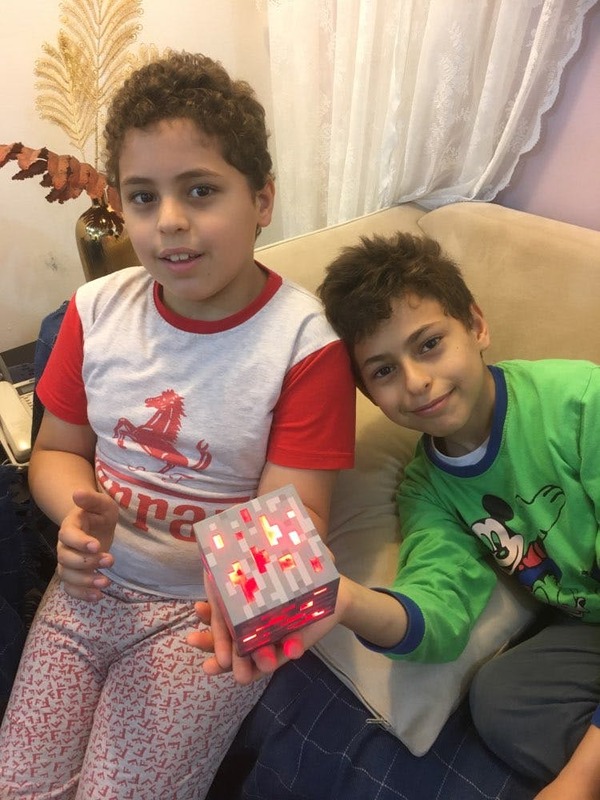 It glows with internal LED lights. Anyone can activate it by simply tapping it. Tap once for low light, a second time for medium light and a third time for bright. Tap again to turn it off. It is made out of solid ABS plastic. 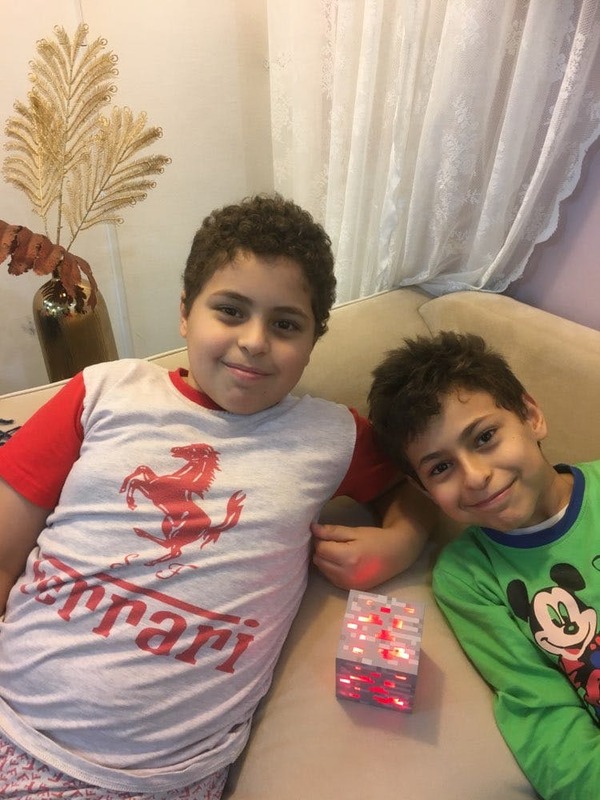 This LED nightlight is safe and suitable for anyone ages 6 years and older.